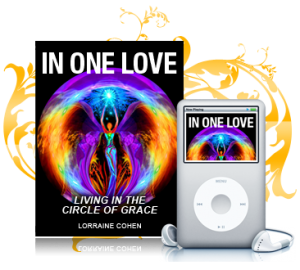 Lorraine Cohen took me through an impromptu Grace process during a meditation. Words can’t describe the intensity of the experience from embodying the overwhelming Love of God into every cell of my body. This was unlike anything I have ever experienced… EVER! Have never felt this close to God. His energy is infused in every cell of my body. I am being held in Divine Love. This is pure embodiment of God. The value of what I received today is beyond measure. All I can say is that Lorraine channels the Divine. I am in such deep gratitude to her and God for making this possible and feeling so blessed. Thank you so very much Lorraine!! You are such an inspiration. You’re still my favorite coach! I know I told you that when we talked almost 2 yrs ago; still holds true today. It’s so clear your personal experiences, especially the rough patches and successes enable you to be the effective, wonderful encouragement that you are. My beliefs differ slightly from yours as I’m a Bible based Christian, but that doesn’t derail me at all in understanding the value of your teaching; and to continue in my efforts to grasp your techniques to create desperately needed change in my life; whenever I can. Thank you for being so honest and authentic. Rare to come by, as you know. There is a glut of self improvement coaches and gurus; many with tuff to see thru gimmicks. I always come back to you Lorraine. I think everyone knows you care. While of course it’s your livelihood, everyone knows you care and that you want your students to succeed, and like me, I’m sure many people tell you they feel they can trust you; which is critical. My best wishes for you always Lorraine! Dear Lorraine, how do you express your gratitude to a person who has changed your life so profoundly? I thought you would like to know that because of your work with me…. I have gone from a person who has spent her entire life seeking to put a square peg into a round hole to putting a round peg into a round hole. And, the feeling is exhilarating. Thank you! WOW!!! Lorraine is the gift that keeps on giving! I have been working with Lorraine one-on-one for only four months and when I look back, the progress I’ve made is astounding. I’ve transformed my being overwhelmed to being really excited, and more importantly, staying excited instead of being on a roller coaster. Lorraine has been so helpful to me both personally and professionally which surprised me because I thought I was working with her for just ONE part of my life – growing my business! Lorraine has a great gift for leading me to answer my own questions, uncover self-limiting habits, and sort things out with humor, warmth and a great forthcoming way. Since working with Lorraine I am confident and peaceful. She has broadened my vision to allow exciting changes to open up for me (like my new job!). Time and money definitely well spent. Thank you, Thank you, Thank you!! Lorraine, the benefits of working with you are many and difficult to capture in words. I would describe your practice as a strategic and spiritual balance. While there is a tactical aspect to any transition, your emphasis on being present to and re-discovering one’s core values is critical. You are masterful at taking a gentle yet firm stance with your clients and your strong intuitive sense provides a clearing for others to trust themselves at a whole new level. Your relentless pursuit of providing value and producing results for your clients is refreshing and rewarding. The transformation from fear to power is remarkable and undeniable. After just one conversation with Lorraine I knew that working with her was going to change both my personal and my business life. Thanks to her insights, advice and support I am now more confident in myself and my abilities and I am undergoing a transformation, which is seeing my positive energy output and motivation soar. In fact, since working with Lorraine my increased positive energy and efforts have resulted in a 500% growth in my client base in the last 30 days compared with the previous 30 days. Lorraine is a wonderful and insightful coach who is guiding my journey towards less fear and more power. I can’t wait for what’s going to happen next! THANK YOU for the wonderful guidance you provided to me during our call. I am amazed that what I was saying was so easily deciphered since it’s seemed so jumbled until you helped clarify what I was getting at. I’ve had two coaches in the past and neither one of them provided the level of information and action steps that you did in just 30 minutes. You’re amazing! Yes, some of the things you mentioned I had already known (just forgot), but you offered me something that I really needed — confidence. I think my fear of success (or level of risk) had been creating a lack of confidence that you were able to sweep to the side in a matter of minutes. Incredible! Let me tell you, it has been an amazing, surprising, and challenging process! I have re-identified myself, and I have emerged a better businesswoman as a result. I am stronger and more “in tune” with what drives me, what is most important to me, and where I go from here. I consider Lorraine a critical part of my strategic advantage. I can assure you that working with Lorraine, and the unending support she offers, will pay for itself tenfold. The best athletes, business people, and world leaders have coaches and advisors. Lorraine is a fabulous resource and has been an insightful, wise partner in my journey towards personal and professional growth. She is a focused, active listener who asks just the right questions at just the right time. She guides but never takes over the work on solving old problems or developing new awarenesses. Infusing each session with positive energy and humor, Lorraine uses her characteristic light touch when dealing with heavy topics. She always helps facilitate the discovery of paths that lead to greater strength and success. As a result of my work with Lorraine, I appreciate more fully who I am, and the many gifts that I have been given. I am more confident in my ability to bring these gifts forward in the work I do and have removed significant blocks to doing my best work. My professional life is a work in progress, and I thank Lorraine for the many important ways she has helped me move closer to my larger professional goals. It’s been nine months since we began to work together. You have a marvelous combination of intuitive gifts, experience and wisdom that has been of great benefit to me. As the song says, I bless the day I found you, because that’s when I started to find me too. Thank you for everything! My experience of coaching with Lorraine has definitely exceeded my expectations. I find the sessions to be very practical and at the same time very inspirational! I’ve been discovering parts of myself that I had sensed and always hoped were there but that I hadn’t been able to access; and I’ve been receiving the tools and encouragement that I need to develop those parts. I’m seeing much more clearly what I do that makes my life harder and my desire and ability to change that behavior is stronger that it’s ever been. I’m so glad I decided to start coaching with Lorraine! Coaching with Lorraine has literally turned my life around! Now I set tangible goals and I am in touch with who I am. Lorraine gave me the push, guidance, and support I needed to recreate my life. Lorraine listened with warmth and empathy, then facilitated important steps for me to reach goals. She helped me get clear on what I wanted, and gently helped me implement the new strategies. Our work together has been a delightful and very helpful, supportive alliance. I see myself differently and I’ve experienced huge shifts inside. These shifts have given me an inner sense of being able to trust myself in new ways that has translated into taking risks, strengthening boundaries, and giving myself permission to do what is right for me! I am beginning to believe again and that is opening the way to attract new and wonderful opportunities! My life has changed by quantum leaps! You helped me to focus and crystallize things I need to do differently – to nurture myself and to grow, I am reclaiming parts of myself I have sacrificed along the way to people and things. I have made a complete career change and left a job that, at the beginning of our work together, I had no idea how to leave. All I could see was an endless chain of long-hour, low-pay blue -collar jobs. Some fears were holding me back – fear of success, perfectionism, and a fear of dreaming big. Now I am clear that that I am capable of achieving big dreams. I am moving out into the world to meet positive, supportive people and writing colleagues. I know that I can be really brave in the face of challenges and no longer identify myself as a victim or a quitter. I am a published author! Lorraine has a way of getting to the essence of the key area for your GROWth! She is committed to discovering and understanding what is really important for you. Her ability to intuitively know the right questions to ask, lead to unexpected impactful outcomes! Thank you, Lorraine, for helping me on my GROWth journey and your most valued insights. I had a pretty good life before I met Lorraine. In the two years we’ve been working together, I’ve begun living at a whole different level. My income is up, my self care goes much more smoothly, I’m playing in a bigger league in my profession and I’m living my passions. I have been involved in self-discovery and human potential seminars, lectures, and workshops for more than 20 years. While I had received clarity on many issues through the years with the tools at hand, something was still missing and I continued to sabotage myself and lacked personal success in creating my dream. At the time I began working with Lorraine Cohen, I was at an emotionally drained point in my life. In the last year, I have uncovered various hidden areas of self-sabotage. The tools and the wonderful caring support of Lorraine’s coaching have assisted me in moving beyond a stable recovery by providing the clarity and impetus to manifest my dreams into reality. I have not forgotten the magnitude of what we accomplished together. I continue to remember and deepen my relationship with self and the lessons I learned through your coaching. You showed me, helped me find my power and tools to manage the inner critic, inner voices, and have personal power again. Of course the inner voice is still there. It’s just so great to know that I ” don’t have to let it run the boardroom anymore! (One of your most empowering models/quotes to me). I am eternally grateful to you, and for all that we accomplished together. Raise a glass and toast our success, and invoke our names and connection when you taste your next delicious meal! My life is different for having met Lorraine Cohen. 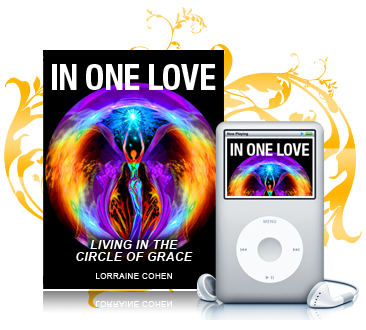 Lorraine is a powerfull and positive force and an agent of change and discovery. Our work together has provided me with necessary tools to make quality choices and decisions that are in my best interest – what a concept! The impact on my thought processes and overall attitude has been substantial, and I believe that going forward, my life’s course will continue to change for the better because of the work we have done. Working with Lorraine is a gift to yourself, and a lot of fun, too. Lorraine, you have increased my visibility to the team by 700% (time I can actually be in person vs. virtually connected) and you have increased my productivity and focus dramatically. I have become far more efficient as a Coach and in managing my own business. Most importantly I’ve achieved these changes by permitting myself to receive the self care I so desperately lacked. The balance in my life created a healthier, happier and more fulfilling life and lifestyle. This has enabled me to double the size of our team from 242 to 509 in 5 months. Thank you!!! !